For people who have suffered a heart attack or stroke, a daily aspirin regimen may be prescribed by their physician to help lower the risk of a second heart attack or stroke. 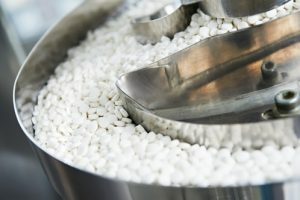 For about 10 years, drug maker Bayer Healthcare has been trying to get the Food and Drug Administration (FDA) to allow the company to market aspirin as a medication to help prevent a first heart attack or stroke. Earlier this spring, you may have seen news stories about this topic. Review of a number of studies revealed that there is no data to support the use of aspirin to prevent a first heart attack or stroke. How do you know if aspirin therapy is appropriate for you? This is not a “one size fits all” consideration. It really requires an assessment of individual risk and a discussion of the pros/cons with your primary care physician. Since aspirin is found in most medicine cabinets in the U.S., you might assume there are no risks associated with this medication, but that assumption is not correct. Aspirin interferes with the blood’s ability to clot, which can be beneficial to people with a history of heart attacks because this can help prevent the formation of blood clots. But aspirin can also increase the risk of complications, such as bleeding in the stomach or brain. If you are worried about your risk of heart disease, talk to your primary care physician to create a tailored plan of action for stress and sleep management, diet, and exercise to help keep you healthy.